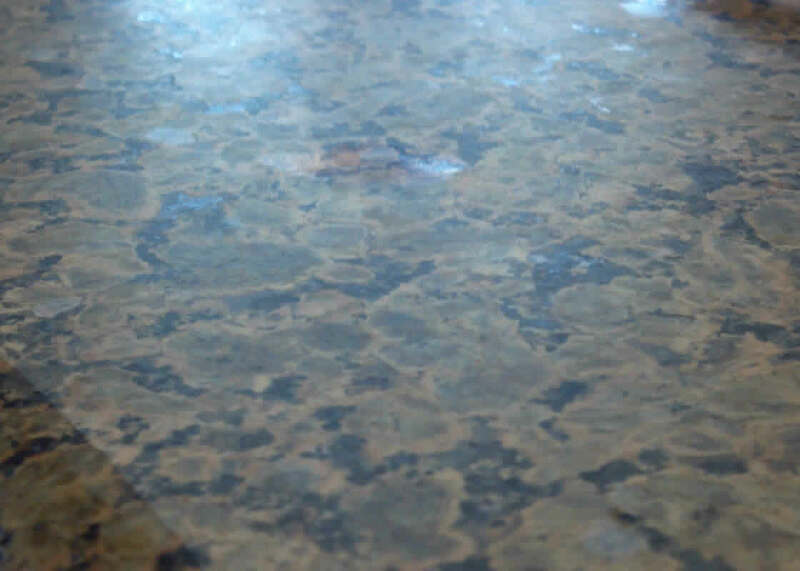 Dull edge on the face all the way around and some pitting. 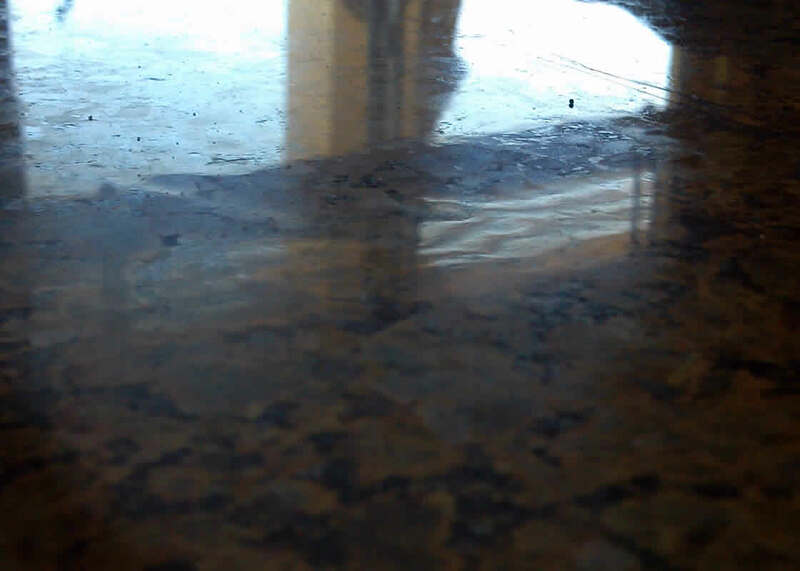 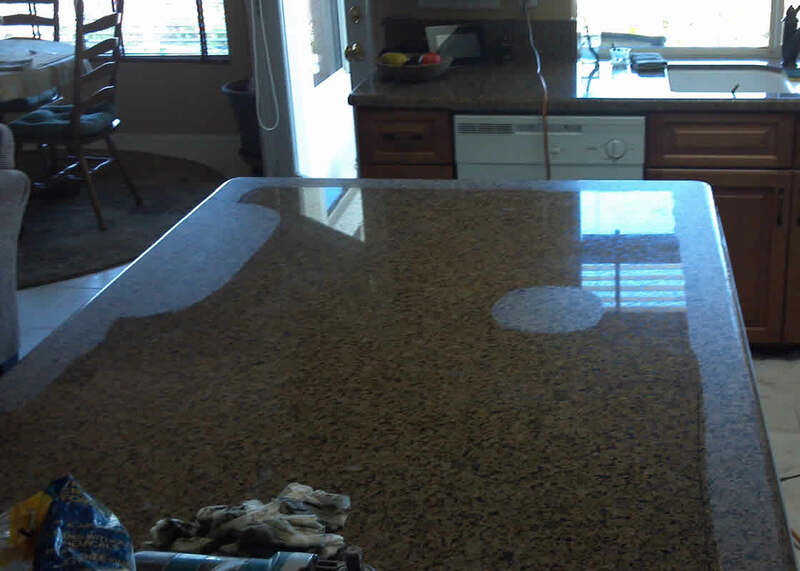 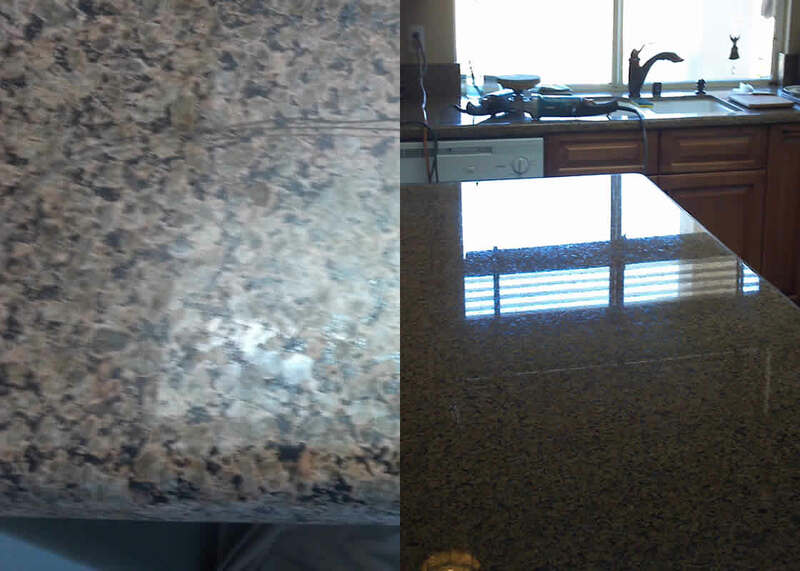 Original fabricator hit the face of the island top while polishing and damaged the finish. 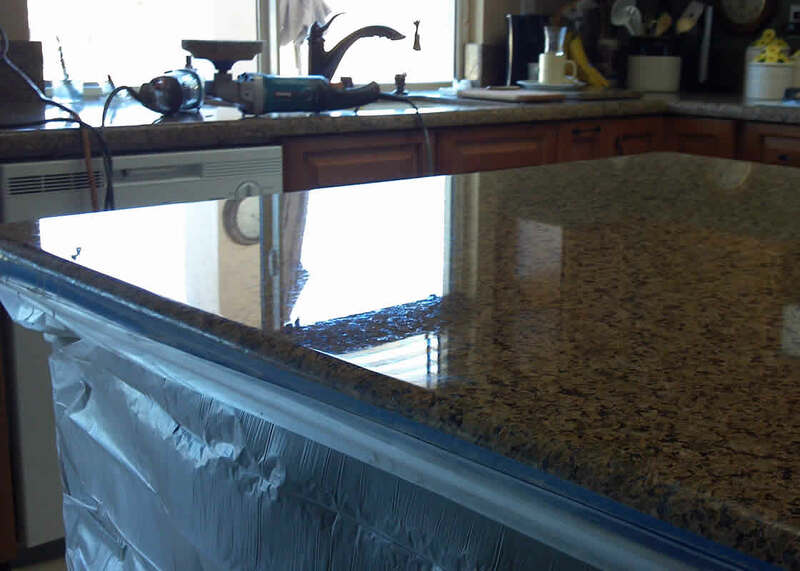 All the edges and other spots were honed down to remove the damage, then brought back up to a polished finish to blend with the surrounding areas. 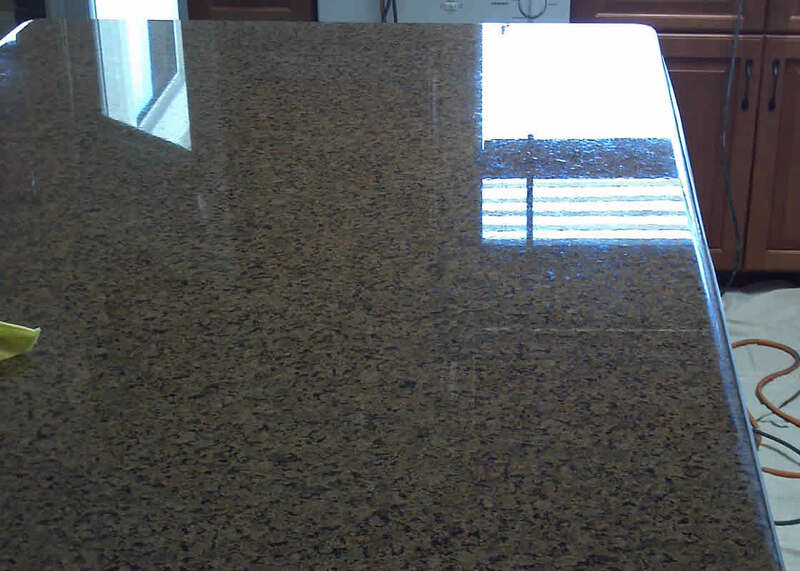 A properly finished island top for the client to enjoy.